Ylva If she can't STUN you,she can't KILL you. Skaarf Can use His ''Goop'' Aggaisnt him also can use your ''Tiger's Bridge'' or ''Master's Lesson'' to cancel His ''Dragon Breath''. Celeste isn't it obvious, isn't it? 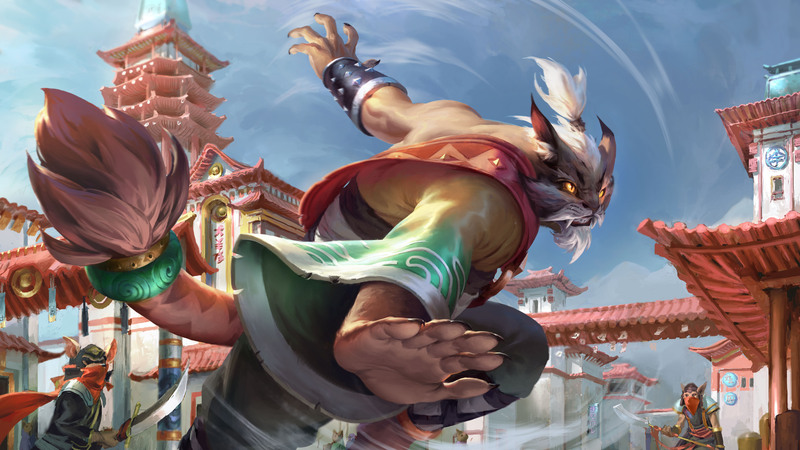 Taka Can Dodge your "Tiger's Bridge" or "Master's Lesson" using his "Kaiten'' and Dodge your "Divine Fist" by walking around you. Reza Can Dodge Every Thing with "Troublemaker" or "Netherform Detonator" and Can kill you very Easyly. Kensei Same as Reza,Can dodge Every thing. WARNING:When playing with	 San Feng you need Good reflexes, so Train,Memorize and Predict to made a Good use of his Tiger's Bridge. Level UP This Ability First, in the Lane when the Enemy is going to attack you he/she will STOP for Basic Attack or Use a Ability and in this Moment use Divine Fist, you will take less Damage and Remove half of his/her Health Bar. 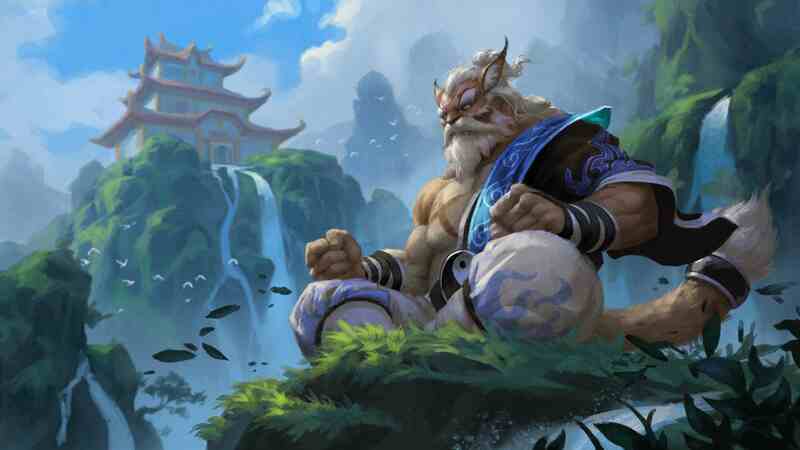 When the Enemy is going to Attack you use Tiger's Bridge to take less Damage and deal more Damage but you can't MISS the Counter Stance, you need to Have a Good Mind Game to know when he/she is Bainting you and when he/she is going to Attack you. When your Tiger's Bridge and Divine Fist are in CD(Cooldown) use your Master's Lesson to gain Time for Tiger's Bridge and Divine Fist to leave the CD(Cooldown), also you can use to Save an Ally from a Assasin by using Master's Lesson next to him and you can use to gather the enemy team for your Team kill them. Basically:Use your Tiger's Bridge and Divine Fist when the Enemy is going to Attack you and use your Master's Lesson to gain time or save an Ally.